Today I saw video from Jim Kwik at Mindvalley on reading 4 books in a month, that’s 1 a week and minimum 45 minutes a day. 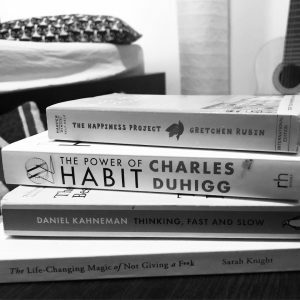 I’m challenging myself of 30 days of book reading with a minimum of 45 minutes a day. If it’s set into goals, there will be results! I am going to start on July 1, 2018… I am so excited! Great challenge! I’ve been struggling to find the time to read lately, so am counting more on audio-books. As for a really good suggestion, I’d go with Big Little Lies- quite interesting read.